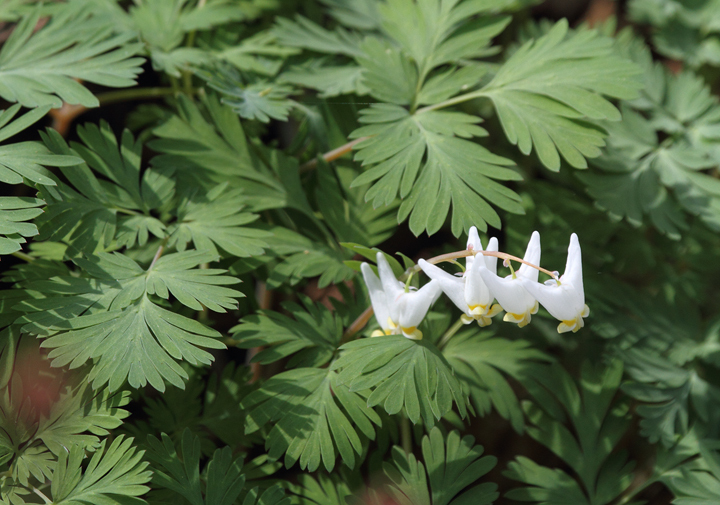 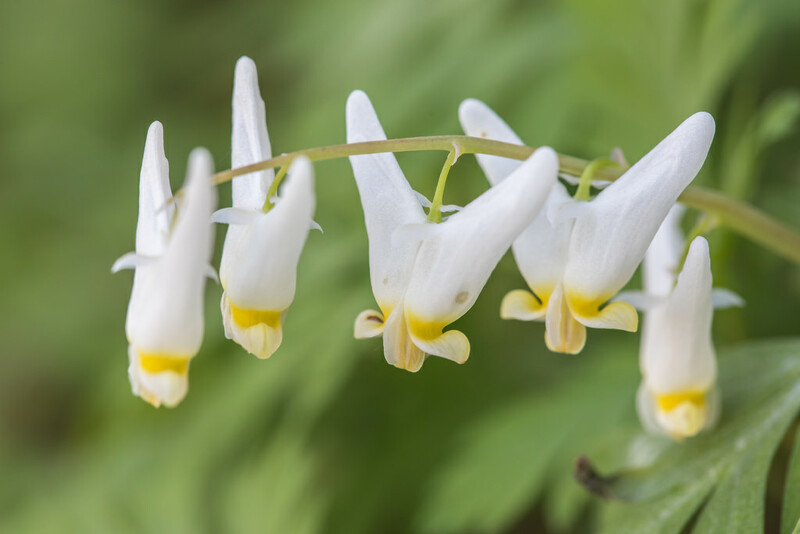 Dutchman's Breeches Dicentra cucullaria (Linnaeus) Bernhardi Synonyms: Bicuculla cucullaria. 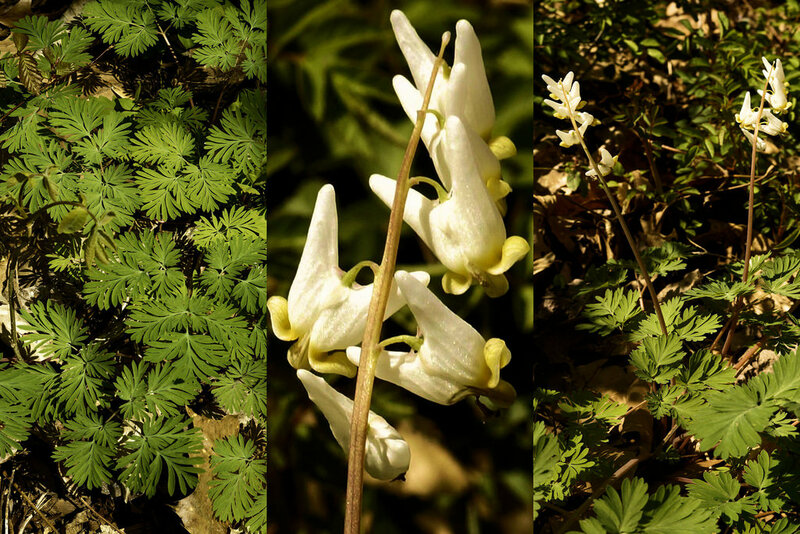 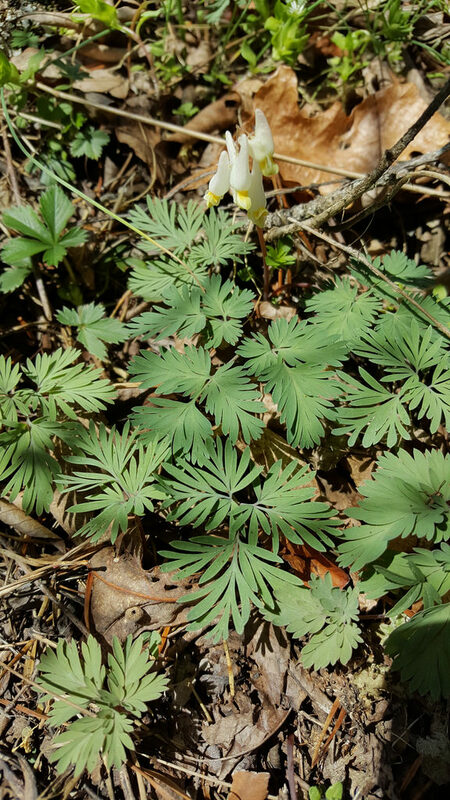 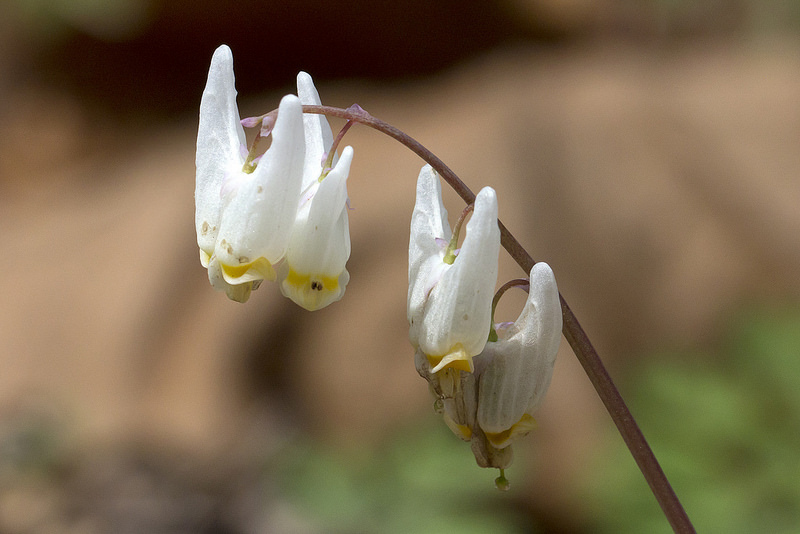 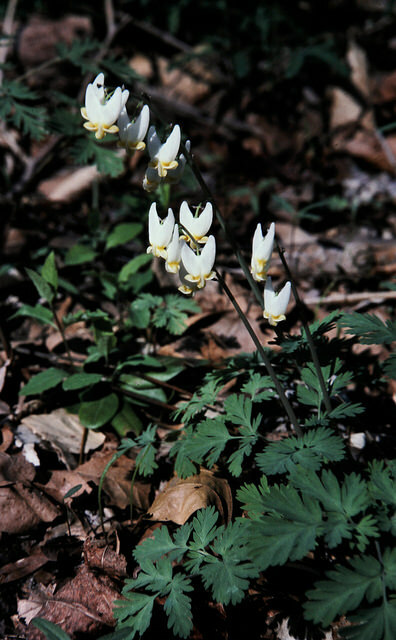 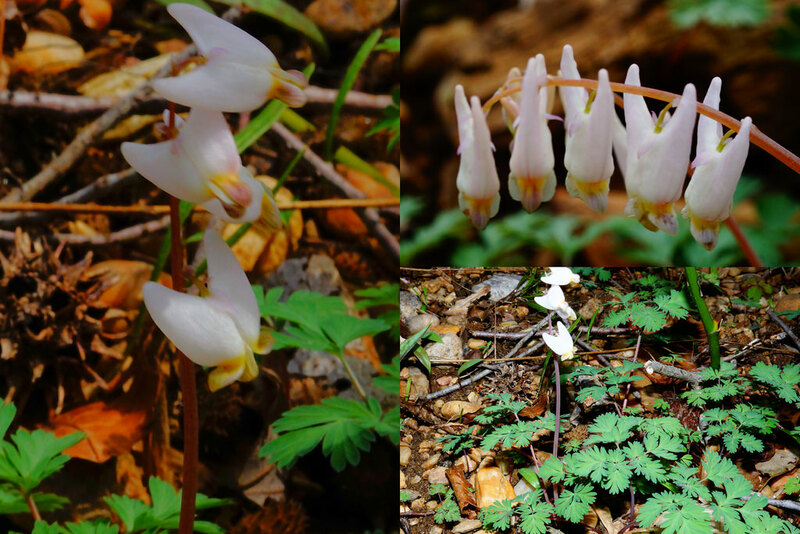 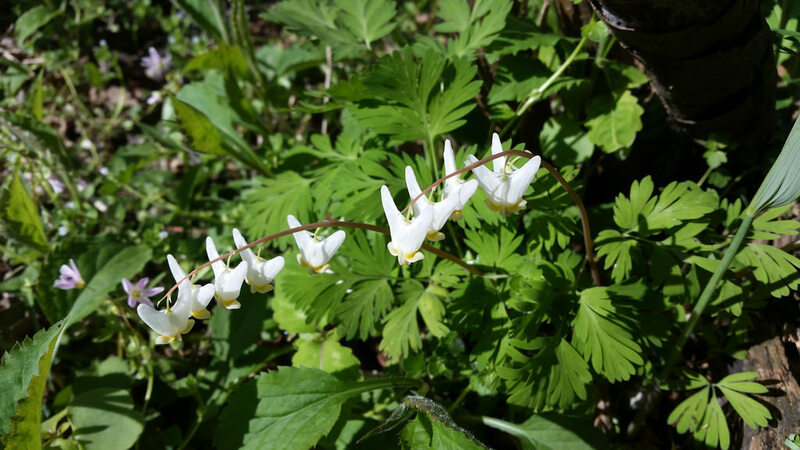 Dutchman's Breeches grows in rich flood-plain and cove forests. 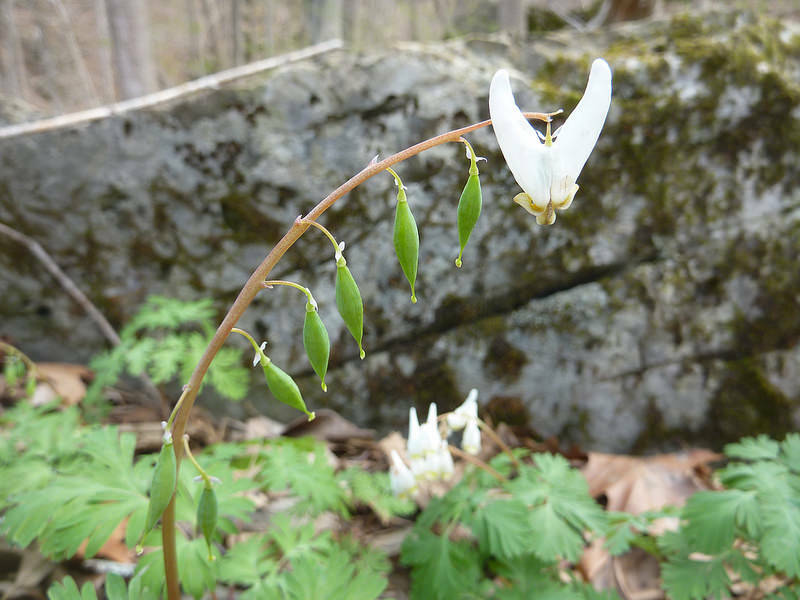 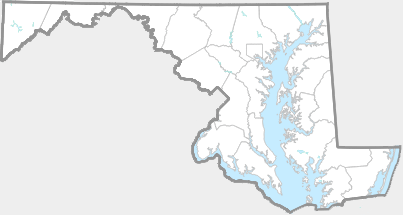 It occurs in much of eastern North America. 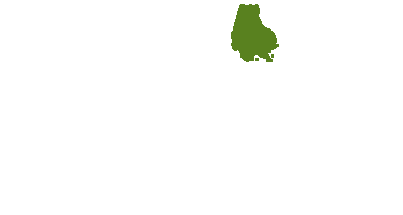 Interestingly, there is a disjunct population in the Pacific Northwest (J. Hill/MNPS). 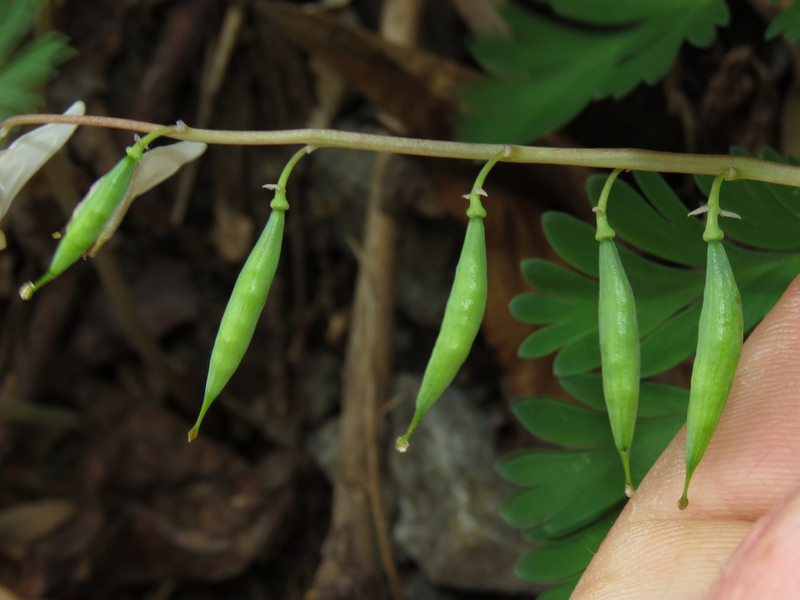 Seeds are distributed by ants. 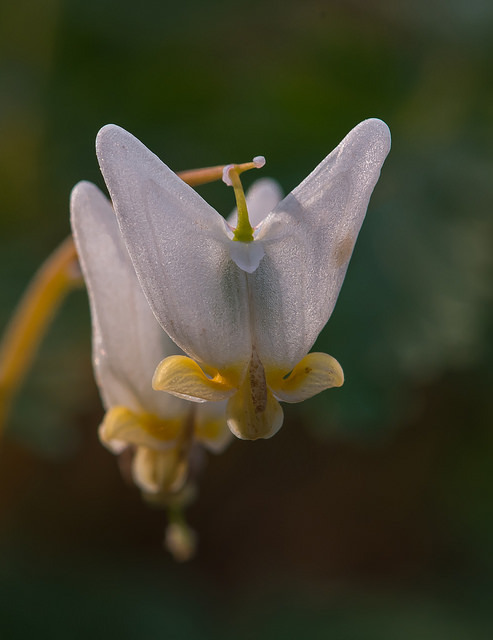 Ants carry seeds to their nests and eat the seeds' elaiosomes (fleshy or oily appendages). 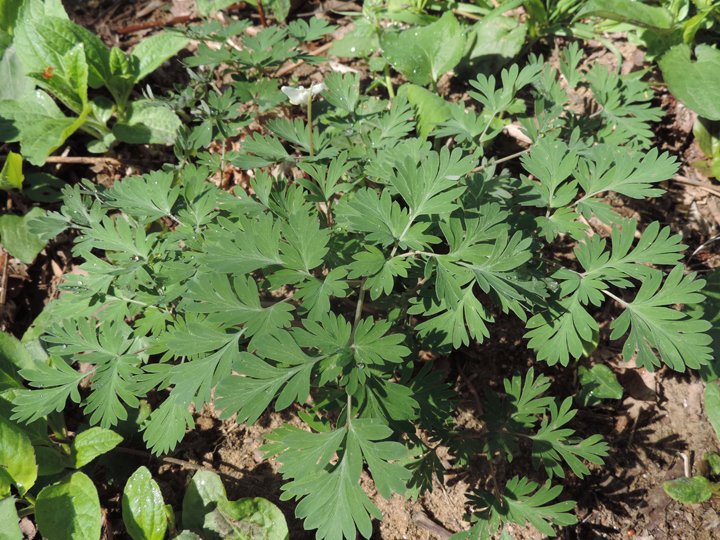 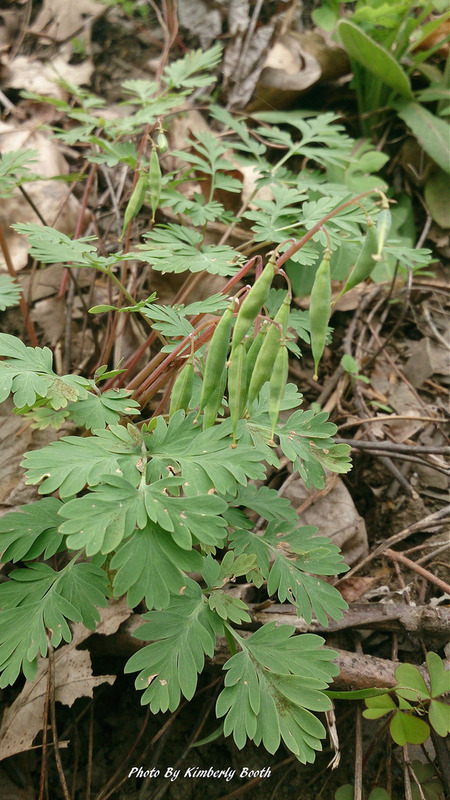 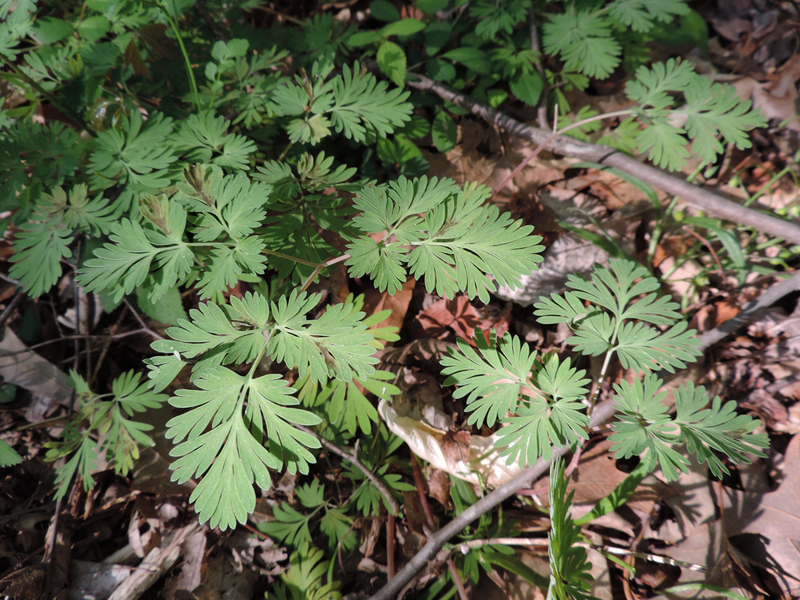 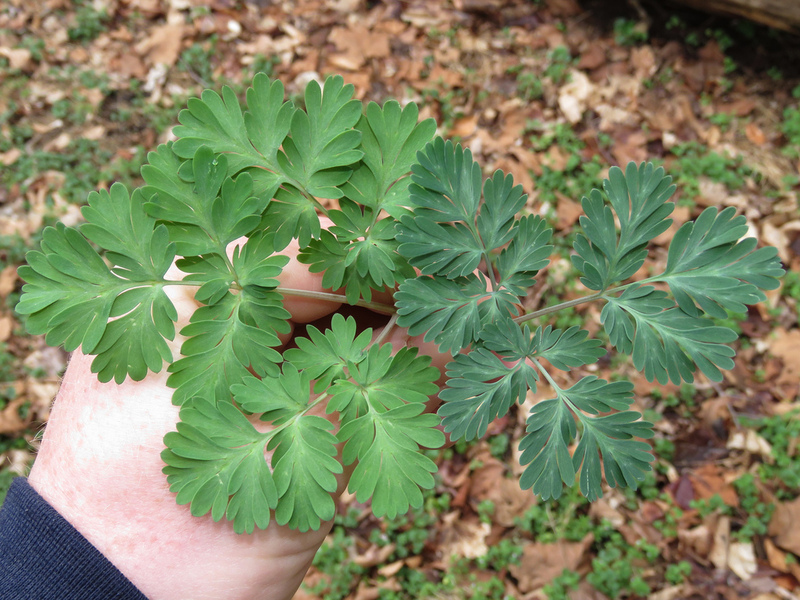 The foliage is toxic to herbivorous mammals and is infrequently eaten by them (J. Hill/MNPS).